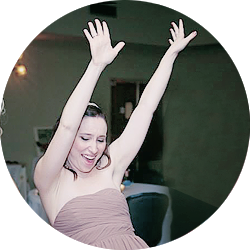 I've mentioned my sister Erin on this blog before a time or two. And it seems Erin's number has come up yet again by virtue of a couple of things she's done for me lately that have just been amazing. My 30th birthday was in July. About 2 weeks after the fact I got a letter in the mail from my sister Emma. It was on really cute stationery and she wrote about her feelings about me and how even though we're far apart in age she really thinks we're friends and not just sisters. It made my day! Then I got a note from my BFF Story. As her writing always does, it changed my life! And it was on cute stationery! Then I got a letter from my friends Kim and Dave Irwin. I absolutely love them, and I was so touched they had taken the time to wish me a happy birthday! Their letter was also on cute stationery. Then I got a letter from my friend Jenny Moosa (Story's mom). So nice! And ... also on cute stationery. When I got a letter from my friend Ashley also on cute -- and identical -- stationery I started getting a little amazed. Turns out there wasn't a rush on cute stationery at the Target. "Wow!" I thought. "Target must have had a rush on the world's cutest stationery and everyone knew about it but me!" Suffice it to say it took me a solid month to realize that everyone I know who live in a bunch of different states didn't all show up at Target on their day off and randomly purchase identical stationery. Nope. Erin had bought all of it. And sent it to a bunch of my friends. And asked them to write me for my birthday. Or so I thought, until I received part 2 of my gift. Last weekend I was in Morgantown to see my grandparents, my sisters, and the Mountaineers. When we went to pick my sister up for the football game, she handed me a photo album. Contained inside is pages and pages of photos -- photos of my great-grandparents, my great aunts and uncles, my grandparents, my aunts and uncles, my cousins, my parents and my siblings. Decades and decades of Lafferre-Massullo-Putlovis-Thomas history. Every evening I flip through the pages and I tear up because of all the wonderful things contained on those pages. 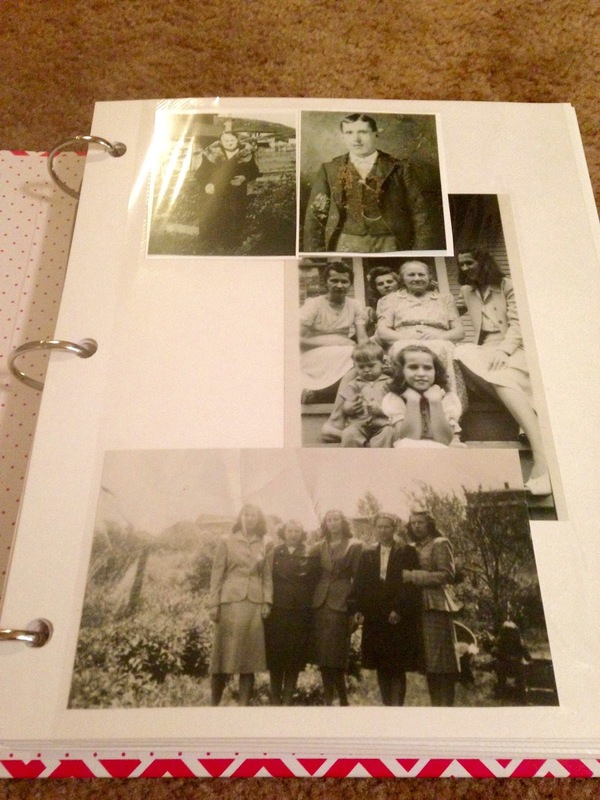 Pages of my history -- my people -- the people and places where I come from; people who made me who I am. 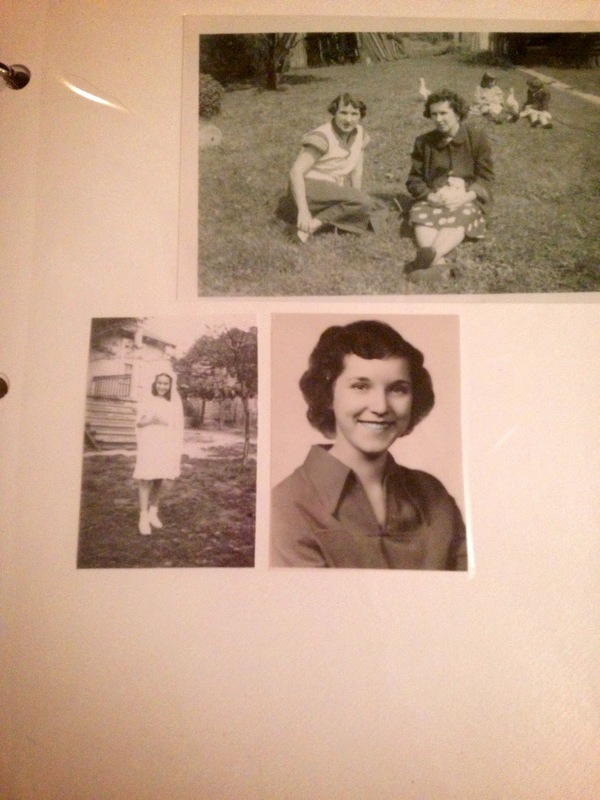 That's my great-grandmother (Anna) at the top right, and my grandmother Mamaw (Helen) at the bottom. 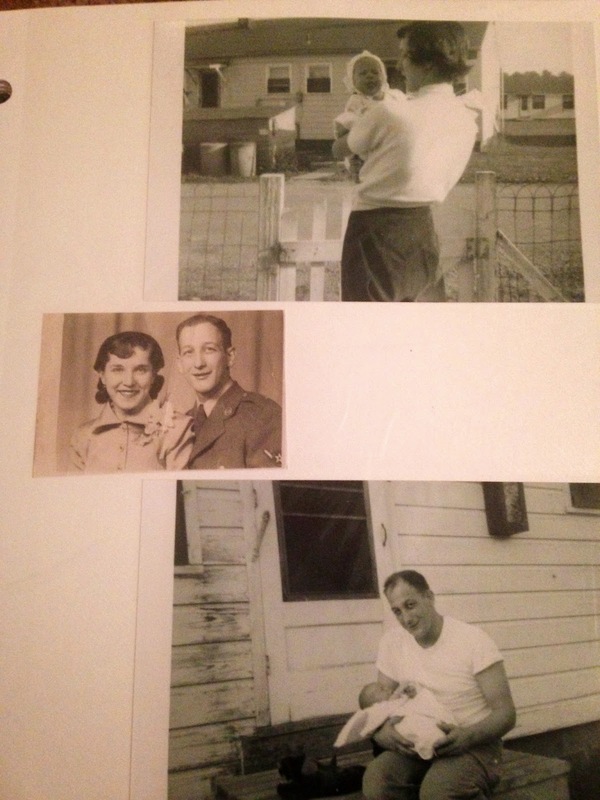 That's my grandparents' wedding photo there, and my Pap at the bottom. This is my mom and three of her siblings. 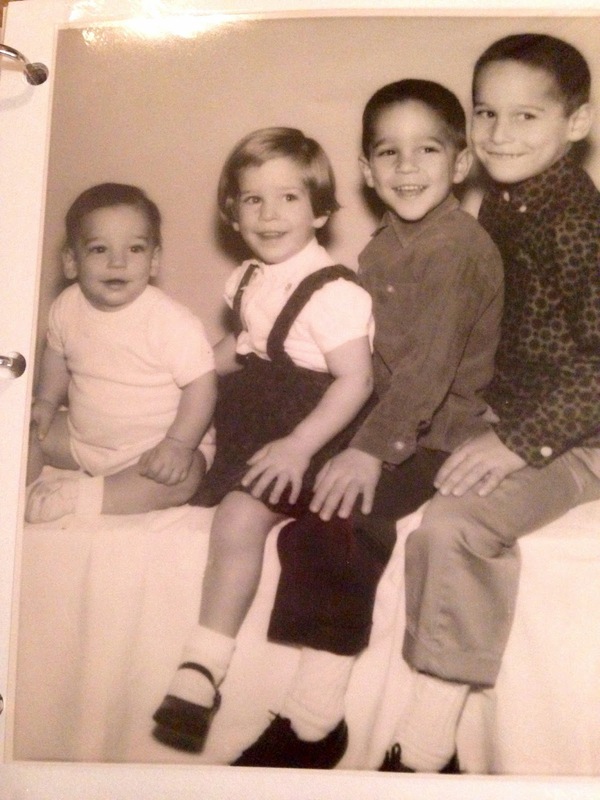 From the right, that's my Uncle Bob, Uncle Marc, my mom, and my Uncle Paul. 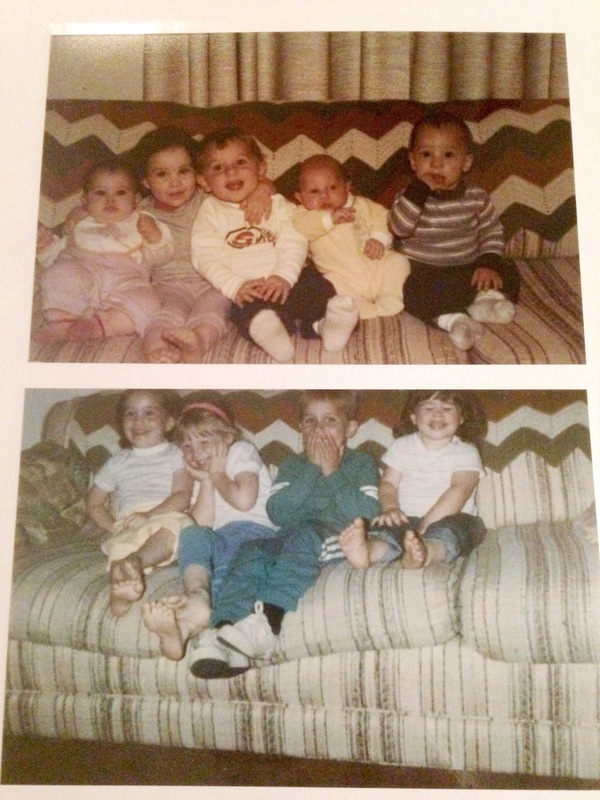 These are photos of me and my sister and my cousins. The top shows my sister Erin, me, my cousin Anthony, my cousin Jonathan, and my cousin David. The bottom is me, my cousin Rebecca, my cousin Anthony, and my sister Erin. I love this photo. 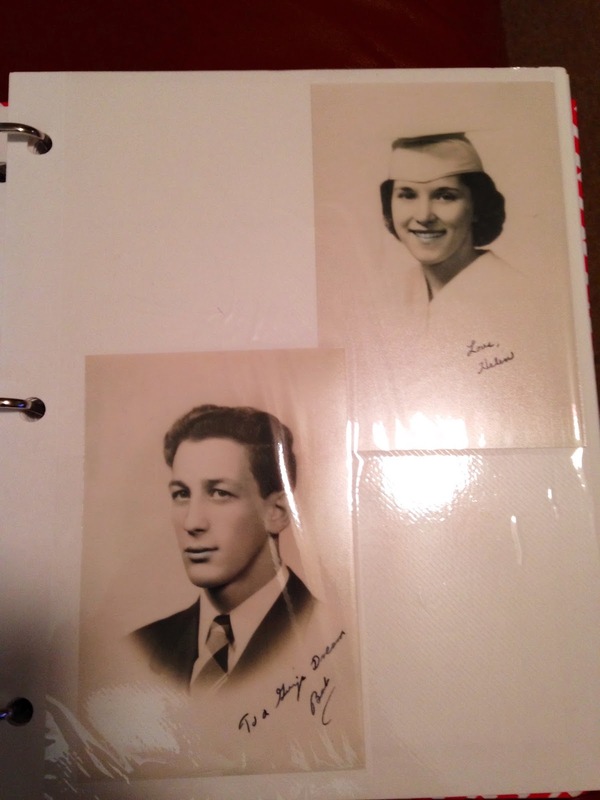 They are senior pictures my grandparents gave each other!